Calling all dancers! Bellingham Repertory Dance is auditioning for its 2019-2020 season on Sunday, May 19 from 12:00-2:00 PM at the Firehouse Arts and Events Center ($15 audition/class fee). Established in 2005, Bellingham Repertory Dance has built a reputation for producing fresh, engaging, and diverse work with a mission to provide high-quality, contemporary dance performances to the local community and support established and emerging choreographers. As a dancer-driven organization, all members of BRD are expected to fulfill two distinct roles in the company. BRD members are both professional dancers and volunteers sharing the administrative duties of the nonprofit collective. It is not required to audition to take the class! If class size reaches capacity, auditioning dancers will be given priority, but all are welcome. If auditioning, please arrive 15 minutes early to register. BRD's four-day Youth Dance Workshop offers young dancers (grades 6-8) a chance to develop new skills, train with dancers from other dance schools, and learn level-appropriate adaptations of BRD’s professional repertory. In addition, students will have classes in contemporary technique, jazz, dance improvisation, and other techniques from BRD company dancers. Through their improvisation, BRD instructors will facilitate the creation of a full phrase of dance made entirely of the original movement and creativity of these young dancers. The dancers will present their week’s work in a conclusive showing open to friends and family on Thursday, June 27 from 3:00-4:00 PM. Participating dancers should have some dance experience and be entering grades 6-8 or have special permission from a member of BRD. BRD’s five-day High School Dance Intensive offers classes in contemporary and ballet techniques, somatic workshops, and opportunities both to choreograph new student work and to learn choreography from BRD’s professionally performed repertoire, all under the instruction of BRD’s current company and alumni. Concluding the intensive, students perform selections from many of their classes, including their own choreography, in an informal showing open to family and community members. The dancers will present their week’s work in a conclusive showing open to friends, family, and community members on Friday, August 16 from 4:00-5:00 PM. Participating dancers should have at least two years of dance experience and be entering grades 9-12 or have special permission from a member of BRD. Bellingham Repertory Dance presents Groundwork in collaboration with Vytal Movement Dance (Spokane, WA) and fellow local company, Hannah Andersen Dance. This split-bill evening of dance works will take place on April 12 & 13 at the Firehouse Arts and Events Center. By sharing the stage with these two regional dance companies, BRD is proud to continue laying the groundwork for artistic collaborations in the Northwest. Set in an intimate theatre space, this show will captivate audiences of all ages and showcase a diverse spread of contemporary movement forms. Groundwork features original choreography by current BRD members, Vincas Greene, and David Harvey, former Alonzo King LINES Ballet company member and current performer with The YC. Since 2005, Bellingham Repertory Dance has provided opportunities for emerging choreographers to produce and share their work with Bellingham audiences. “It is exciting to have dancers from within BRD creating work on those of us they already know so well. They know our strengths and how to highlight the talents of the company” (BRD member, Celeste Hartsook). BRD’s Cecelia Hanford presents a new work to be performed with live accompaniment by local musician, Bo Stewart. Her choreography follows complex rhythms and patterns, and demands detailed attention and acrobatic physicality from her dancers. 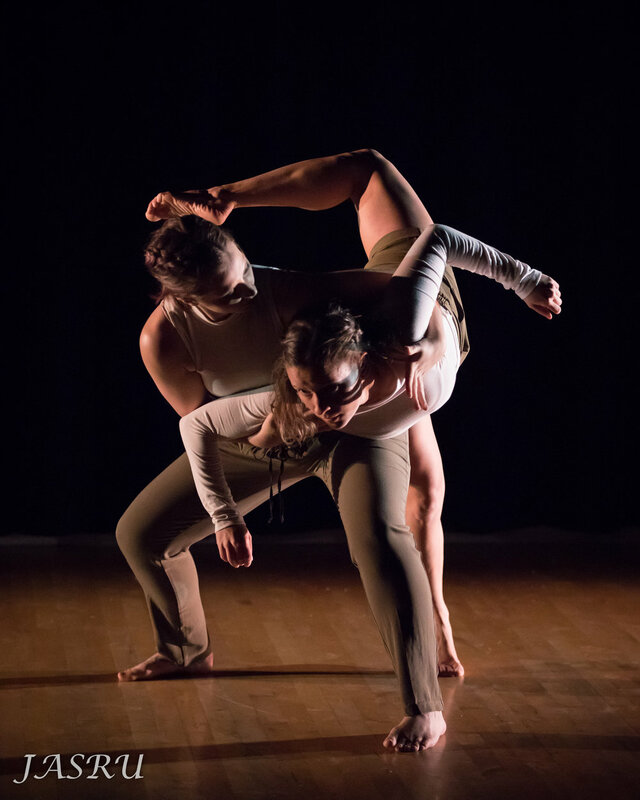 These qualities are mirrored in the premiere of Hannah Andersen Dance’s piece “unsettled,” a new work with six women that explores themes of boundaries and reliance through dynamic physicality and rhythmic play. Sharing the stage with BRD, Vytal Movement Dance contributes two original works by the company’s Artistic Director, Vincas Greene. Their piece “Awakenings” features an ensemble and merges the classical elements of modern dance technique with flowing floor work in an artistic exploration of returning home. NOTE: If tickets sell out online, please arrive 45 minutes before showtime to purchase at the door. Advance ticket holders must arrive 5 minutes before showtime. At that time, all available seats will be released to individuals on the waitlist. 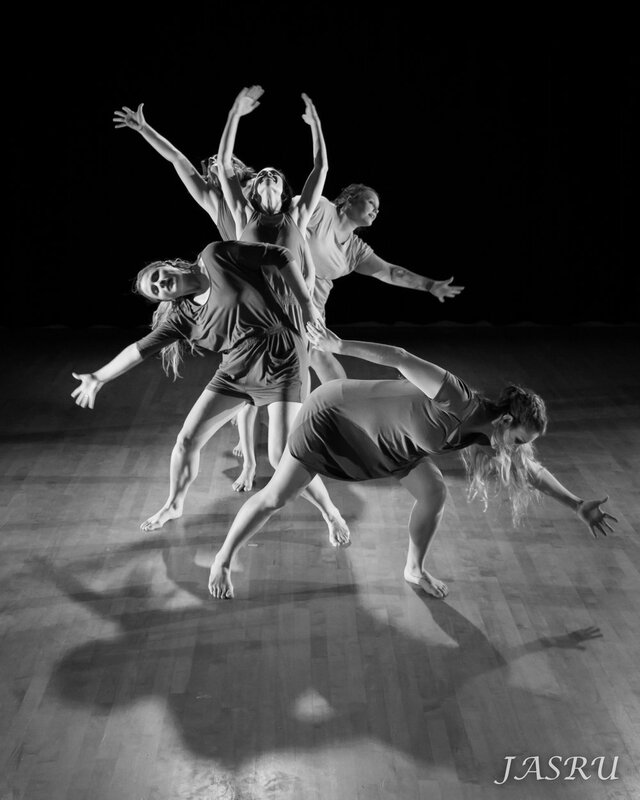 Bellingham Repertory Dance (BRD) presents Frequency, an evening of contemporary dance on October 26-27 and November 2-3 at the Firehouse Arts and Events Center. Frequency represents the rate at which dance evolves over time through a diverse presentation of six choreographic works. 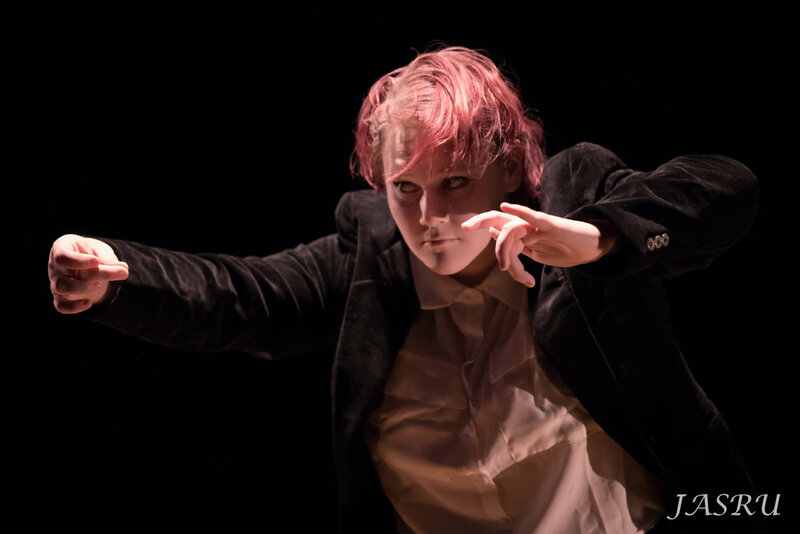 Audience members will experience a range of movement qualities, environments, and characters from businesswomen to the valkyrie warriors of Norse mythology. Frequency exhibits the expansive and explosive abilities of the human body, the precise musicality of intricate isolations, and intriguing character pieces. Set in the intimate Firehouse Arts and Events Center, this show will captivate audiences of all ages. Internationally recognized choreographer, Joshua Beamish (Vancouver BC / New York, NY) returned to work with BRD this fall to reset excerpts of his work SALT, which explores a tense world where the most basic resources are scarce. Shannon Mockli’s What Once Was Held (Eugene, OR) is a powerful ensemble piece about the impact and resonance of memories. Frequency also features debut performances of new work by Darion Smith (Eugene, OR) and Daniel Costa (Seattle, WA), as well as repertory choreography by Mari Meade (Brooklyn, NY). The company is excited to welcome Diane Williams, former member and co-founder of BRD, to reset her work that was originally choreographed on the the company in 2014. Students are invited to watch the company’s final dress rehearsal for a discounted price of $5. Tickets available at the door and a valid student ID is required. BRD invites you to an Open Rehearsal & Dialogue! An open rehearsal is an opportunity for community members and dance students to see what goes into a professional-level dance performance with Bellingham Repertory Dance. Join our dancers at the Firehouse to get an inside look at the rehearsal process for Shannon Mockli's "What Once Was Held," a piece inspired by memory. You are invited to observe, respond, and ask questions throughout. BRD is rehearsing "What Once was Held" to be performed as part of their upcoming performance, Frequency, this October 25-27 and November 2-3. You are invited to a fundraiser for Tabetha Clark and her family. Tabetha is battling stage 4 lung cancer. 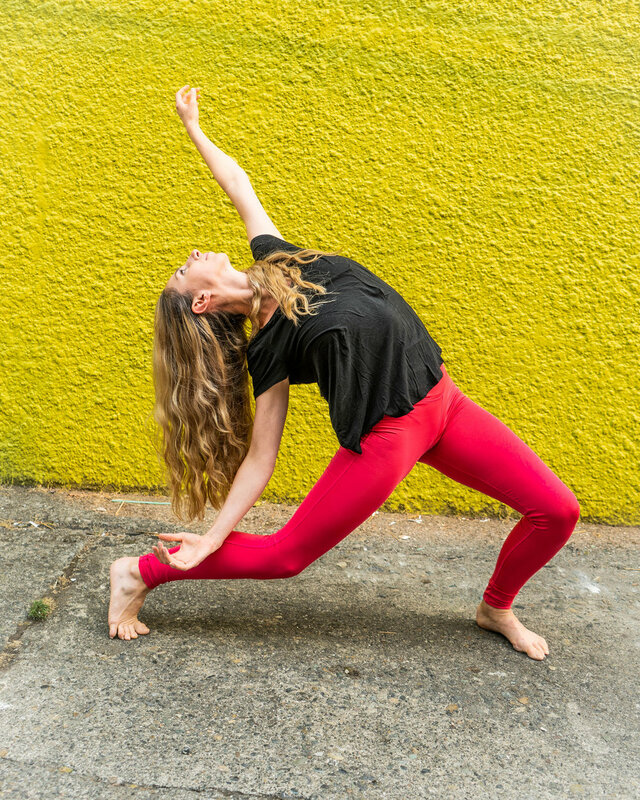 She is a dancer, choreographer, founder of ABCDance Bellingham, a mother, wife, sister, friend and genuinely wonderful human. Tabetha has had to put her dream career and dream business on hold while she fights. A group of friends, family, and local organizations are banding together to host a party and performance to raise money and to shower her with love and support. All proceeds from this event will go directly to the Clark family. The Lawn Party includes something for everyone. There will be live music, a raffle, beer and wine (cash bar), food and yard games, face painting, bubbles, and a tap dance stage with shoes for the kids! Suggested donation for entry. The evening performances include Bellingham Repertory Dance, SUGAR, short film presentations, and Rhythm is Our Business Tap Company. Shows are at 5:00 PM and 7:30 PM and are 18+ with parental discretion advised for younger viewers. Tickets are $50 General and $100 Tabetha Lover, which includes an additional gift to the Clark family. See BRD for FREE this Friday, October 5 during the October Downtown Art Walk! One-time-only at 7:00 PM at the Gallery Pegasus (301 W Holly St). The dancers will perform excerpts of a new piece by Seattle choreographer, Daniel Costa. This piece will be presented in full alongside five other works of contemporary dance at BRD’s upcoming performance of Frequency, which runs October 25-27 and November 2-3 at the Firehouse Arts and Events Center (1314 Harris Ave). Join the dancers of Bellingham Repertory Dance at our annual yard sale fundraiser this weekend! Browse gently used treasures from the company’s 12 members, as well as from community donations. Find the right furnishings and styles just in time for moving into your new apartment or home for fall! As an added bonus, all proceeds from this event fund performances, master classes, and youth workshops presented by Bellingham Repertory Dance, a registered 501(c)(3) nonprofit organization. Please come shop to support the arts in our community! You can find us from 8:00 AM to 1:00 PM on September 1-2 on the Firehouse lawn. - Donate unwanted stuff to us. It's tax deductible! - Purchase treasures at the yard sales! - Don't need more things? Come and purchase some fancy lemonade and hang out with us in the sunshine! Summer program for intermediate dancers entering grades 6-8 that runs from August 20-22, 2018 at the Firehouse Performing Arts Center. Click here for registration and more info! The 7-Day Dance Festival returns this August! Dancers and choreographers of all dance styles are invited to come together and create new work. Presented by Bellingham Repertory Dance, this festival is open to both local artists and those from neighboring communities that can be present for the event. This year, the week will include team rehearsals as well as a festival class series, and will culminate in two public performances with professional stage lighting and tech. These performances will be held at 5:00 PM and 7:30 PM on August 25 at the Firehouse Arts and Event Center in Bellingham, WA. The content of 7DDF 2018 is still yet to be known. BRD invites you to take a risk on this unique audience experience, and witness the unfiltered creativity that emerges. Summer program for intermediate/advanced dancers entering grades 9-12 that runs from August 13-17, 2018 at the Firehouse Performing Arts Center. Calling all dancers! Bellingham Repertory Dance is auditioning for its 2018-2019 season on Sunday, April 29 from 9:30-11:30 AM at the Firehouse Performing Arts Center ($12 audition/class fee). Established in 2005, BRD has built a reputation for producing fresh, engaging, and diverse work with a mission to provide high-quality, contemporary dance performances to the local community and support established and emerging choreographers. As a dancer-driven organization, all members of BRD are expected to fulfill two distinct roles in the company. BRD members are both professional dancers and volunteers sharing the administrative duties of the nonprofit collective. Enjoy an evening of dance, poetry, and visual art on April 13-15 at the Western Gallery at Western Washington University (parking available in lot 17G behind the Fine Arts Building). Amidst the gallery’s exhibition of work by Ibram Lassaw, BRD explores the movement, colors, and textures of Lassaw’s work. The show will also include original choreography by BRD dancers, with inspiration from poetry by writers from around the country and abroad. Projections explores the complexities of artistic expression as each artist and audience member bring a distinct lens to their interpretation of the art before them. This interdisciplinary concert follows BRD’s 12-year history of collaborations with community artists and poets since its inception in 2005. WWU dance faculty member, Susan Haines is choreographing two new works with BRD dancers to be performed amongst Lassaw’s projections of painted glass tiles as displayed in the gallery. The miniature, abstract paintings transform into monumental light images when projected on a wall’s surface, offering a dynamic and lively setting for contemporary dance. The artistic partnerships continue as BRD celebrates nearly a decade of collaborations with the Chuckanut Sandstone Writers Theater. 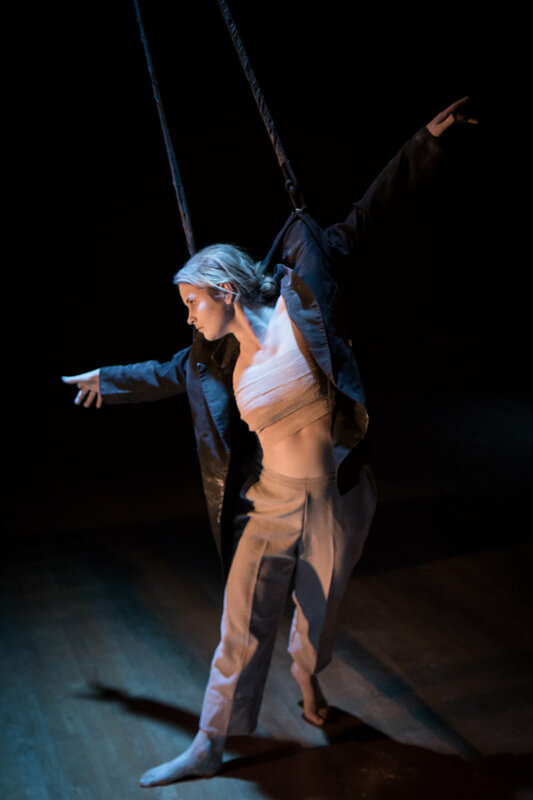 Poetry featured in Projections was selected by BRD’s in-house choreographers and is serving as the context for premiering contemporary dance works. Dance lover tickets include a donation to our volunteer-run nonprofit. Thank you for your support! BRD presents the third annual Winter Contemporary Youth Intensive, offering contemporary dancers ages 13-18 an immersive and professional dance experience. During the three-day workshop, dancers will study contemporary and ballet techniques and learn choreography from BRD’s repertoire, all under the instruction of BRD dancers, past and present. Concluding the three-day intensive, students perform excerpts from rep pieces learned, as well as work from their technique classes, in an informal showing open to parents and community members. Bellingham Repertory Dance proudly presents Emerge, this November 10-11 and 17-19 at the Firehouse PAC. This show features two brand new works by renowned artists and choreographers, Marlo Ariz and Kevin Jenkins as well as stunning choreography from Michele Miller, Eliza Larson, Jessica Zoller, and Rachel Lincoln. Emerge represents a celebration of the many elements of newness making up this show, from brand new choreographic works to the many dancers joining the company for the first time. You wont want to miss it!